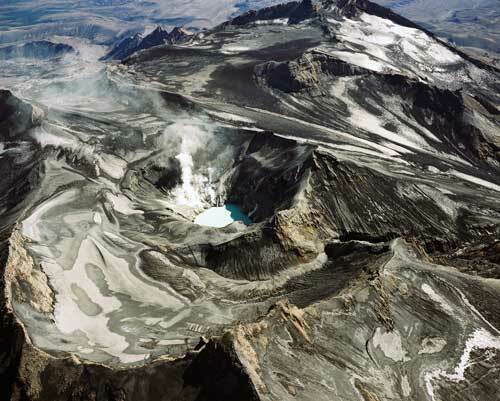 The top of volcanic Ruapehu, permanently above the snowline, supports a number of small glaciers. Here they are picked out by a coating of volcanic ash that erupted from the crater in 1995. This website is great! It gives me lots of information.